Latifa al Zayyat (1923-1996) was a distinguished Egyptian activist, novelist, critic and academic. Her works include three novels, a collection of short stories, a play, an autobiographical account and four criticism books. She also published literary reviews, essays on women, studies in English and American literature and translated two books of critical essays. Latifa al Zayyat was born in Damietta, Egypt, on August 8th 1923. In 1946, she earned a BA in English from Cairo University. In 1957, she got her PhD from the same University. · She was professor of English at the Faculty of Women, Ain Shams University and chair of the department of English. · In the seventies, Zayyat was director of the Egyptian Arts Academy. · In the forties, Latifa al Zayyat, who was politically active, became one of the leaders of the Egyptian student movement. She was one of a 3 person leadership of the Higher Committee of Students and Workers which played a major part in organizing the popular demonstrations against British occupation. · Later in the late seventies, Zayyat co-founded the Committee for the Defence of National Culture, a group of oppositional intellectuals who worked against Zionism and colonial cultural imposition. Zayyat lead the Committee from 1979 to 1996. · Zayyat was subjected to political imprisonment in 1949 and in 1981. 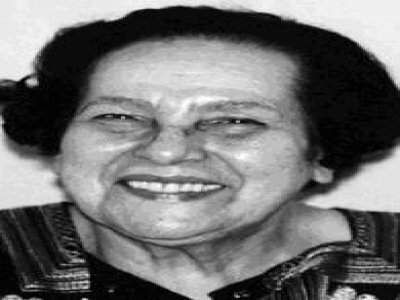 · A few months before her death, Zayyat was awarded one of the most prestigious Egyptian Awards: Ja’izat al Dawla al Taqdiriyya fil Adab (The State Literature Award). · Zayyat passed away on September 11th 1996.